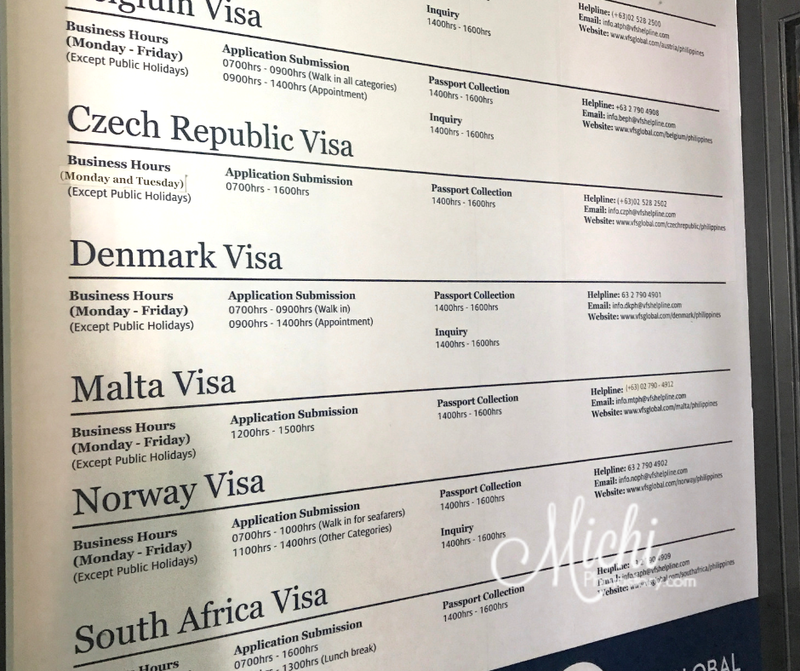 I already blog about our experience in Applying for Schengen Visa via VFS Norway two years ago but I noticed that there are few changes na, that is why I’m sharing with you our experience this year 2019. Schengen Visa is a short-term visa granted to applicants up to 90 days. It allows him/her to visit 26 Schengen Countries for a family visit, tourism, business or any reason with an intention to return to home country afterward. The Schengen Member States Austria, Belgium, Czech Republic, Denmark, Estonia, Finland, France, Germany, Greece, Hungary, Iceland, Italy, Latvia, Lithuania, Luxembourg, Malta, Netherlands, Norway, Poland, Portugal, Slovakia, Slovenia, Spain, Sweden, Switzerland and Liechtenstein. Where Should You Apply for a Schengen Visa? 1. Apply for visa in the embassy that you will be staying the most of your traveling days. 2. In case, the number of days is the same. Apply for visa in the embassy that you will enter first. I checked the Tourist Visa Requirements and I saw the proof of accommodation and itinerary but our main purpose is visiting my mom in Norway so we chose Visit Mother/Father and Visit Other Relatives/Friends Checklist. Step 1: Print out the checklist and gather necessary documents. You can check here the different requirements depending on the type of visa that you need. Base on the checklist, these are the documents that we submitted. 2. One (1) passport sized photo with white background and not older than 6 months. 7. Photocopy of the passport biodata page of your mother/father. 8. Proof of sufficient funds of applicant (or parents/legal guardian if applicant is under age of 18) - original bank certificates/transcripts and photocopy of credit card statements for the last 6 months. 7. For visiting relative - photocopies of PSA birth certificate, marriage certificate, etc. to prove the relationship. 11. If currently employed - original Certificate of Employment or photocopy of work contract stating position, length of service, salary and duration of approved leave of absence. 2. One (1) passport sized photo with a white background and not older than 6 months. 8. Proof of sufficient funds of the applicant (or parents/legal guardian if the applicant is under age of 18) - original bank certificates/transcripts and photocopy of credit card statements for the last 6 months. 10. If currently a student - original certification of enrolment from school. If you will be going on a holiday during summer or semestral break, submit s certification of reservation or certification of enrolment to prove that you are enrolled for the next school year/semester. If traveling during school year, a certificate of leave of absence from the school should also be submitted. Note: For roundtrip airline ticket reservation. We just called KLM to reserve a ticket, the booking is good for three days only so by the time that we submitted our application, expired na yung booking but our visa was still approved. 1. Go to UDI Application Portal and enter User ID and Password. For first time user, just create your account. 2. Click New Application (visas, residence permits, citizenship, immigrant’s passport, EEA registration). 3. Click Application forms for citizens of all countries (Application for visitor’s visa, residence permits, permanent permit, Norwegian citizenship, immigrant’s passport or border traffic permit). 5. Click I accept the Legal Disclaimer and Go to application form. 6. Fill-in the application form. Note: I fill-in the 3 application form and save it. I did not submit it yet because I’m waiting for my mom’s documents. Log in to the UDI Application Portal, click individual/group application form, review application and submit the form. Note: You can no longer edit the application once submitted so don’t forget to review it. You must pay the fee to submit the application. Step 5: Book your appointment. I click the link for Schedule an Appointment, then VFS Manila and it leads me to VFS site where I need to register. Click new user, fill-in the form and submit. Note: The registration will expire after 30 inactive days from the last appointment date. Enter the following details: visiting country, residing country, centre and purpose of travel and click continue. Enter the following details: passport number, date of birth, passport expiry date, select nationality, first name, last name, gender, contact number, email ID then click submit. Then click continue and choose the date and time. Note: In my case, I add 3 applicants but I was having a hard time booking an appointment. The date shows available slot but I’m getting an error so we called VFS office and the staff said, magbook daw ng paisa-isa. Pagsasabayin na lang daw kami pagpasa ng requirements. I followed it and I was able to book 9:45AM and 11AM appointment. I received the email and I printed the appointment letter. Note: Go to VFS Global Norway and submit all your documents. The guard will ask for your passport and appointment letter. He/She will give you a form, fill out the form and give it to counter 6-8 (Norway). Wait for the staff to call your name. The staff will just review your documents, ask few questions and then pay for the VFS fee. Aside from the visa fee, VFS will collect a service fee of Php 1,530.00 for each visa application. VFS accepts payment in cash at the Norway counter in VFS during your appointment date. Processing Time: 15 Days after the submission of documents. Note: The staff informed us about the 15 days processing time. So delikado si hubby because in less than two weeks may biyahe na siya. My husband has upcoming business trip in USA so he asked if he can pull-out the passport just in case matagalan pa ang decision. We added a letter and plane ticket sa application form niya. The staff said, we can borrow the passport naman pero sa Norway Embassy daw kukunin. After payment of Visa Fee, you will have your Biometrics. We had our biometrics 23 months ago pero nagbiometrics pa rin kami. Take photo and give fingerprints. No fingerprints for my 10-year old son. Medyo matagal kami ngayon, more than an hour bago matapos. Note: We all went to VFS Norway to pick-up our passport but because of the expensive parking fee, kami na lang ng anak ko bumaba. Hehehe! So my husband gave me an authorization letter and valid ID. 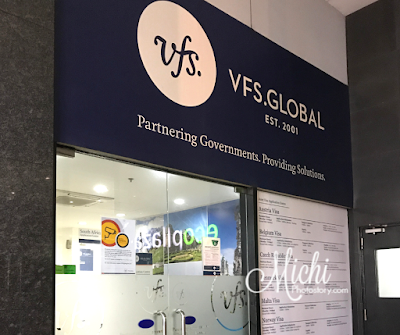 We arrived before 1PM and claiming of passport starts at 2PM so we waited outside the VFS office. At 1:30PM, the guard allowed us to enter just to register and they get our official receipt to secure our slot. At 2PM, they let us in na and true enough, kami naman ng anak ko nauna tawagin. I gave the authorization letter and a valid ID. You have to open the package and check your visa if everything is okay. Then fill out the form and that’s it. First month of the year and I was busy preparing for our Schengen Visa Application. I thought it would be less stressful because this would be my second time to apply but I was wrong. When I checked the requirements, that is the only time I realized that I don’t have PSA copy of our birth certificate and marriage certificate. Ang dami kong stress sa pag-complete ng requirements. 1. I went to SM Business Center to request for a PSA copy and nakatatlong balik ko just to claim my documents, ang one week timeframe naging two weeks. So it is better to order online if you need it asap. 2. I asked my husband to get a Certificate of Employment and since we need the original copy, we waited for the papers from Singapore. 3. My husband requested for Bank Certificate, and was advised to claim it the following day. We claimed it after two days and guess what? Doon pa lang niya ginawa. Nakakaloka ang bank staff, sabi niya i-claim na lang the following day, after two days na nga kami bago bumalik tapos hindi naman pala niya ginawa. It took her more than an hour just to finish our bank certificate. I don’t understand bakit ang tagal nila iprocess, one piece of paper lang naman yun. Nastress ako kasi I requested bank certificate na rin though sa ibang bank and within 15 minutes, nakuha ko na. Hindi na ko pinabalik pa. Now I know na iba-iba rin pala ang process per bank. 4. I went to my son’s school and paid the tuition (downpayment) for school year 2019-2020 so I can get Certificate of Enrollment. I was so surprised when the school staff said, balikan mo na lang tomorrow. What? Last time, nakuha ko naman agad pero ngayon pinabalik din ko. 5. I asked my mom to send me the documents that we need for our Schengen Visa application such as Letter of Invitation, Copy of her passport and UDI Guarantee and this time, she sent the documents one week earlier but I was disappointed kasi wala rin nangyari because the documents arrived late, almost 3 weeks compared sa 2 weeks nung 2017. 1. It is hard to prepare and complete the requirements. 2. It is so expensive because you need to pay for all the requirements that you need, pay visa fee and even VFS fee. 3. There is no assurance that your visa will be granted so iyak na lang pag denied, sa dami ng gastos. It took me 3 weeks to complete the requirements. Anyway, that is the only tedious part because after you complete your requirements, everything is easy na. 1. I received my mom's documents. 2. I submit our application form online. January 29, 2019 (Tuesday) - we went to VFS to submit our documents, pay VFS fee and do biometrics. February 4, 2019 (Monday) - we claimed our passport. It was our second-time of applying for Schengen Visa and they still gave us a single entry visa. Though we only ask for single-entry, of course, I’m hoping multiple-entry na lang ibigay so we don’t have to spend visa fee every time we are going to visit my mom. But anyway, we’re still happy because visa approved. My son and I got 60 days and my husband got 24 days, finollow lang talaga nila yung travel insurance and plane ticket.